Coach of the Super Eagles of Nigeria, Gernot Rohr has told Kelechi Iheanacho and Ahmed Musa to move away from Leicester City. The Nigerian forwards have struggled for regular playing time since joining the Foxes from Manchester City and CSKA Moscow respectively. 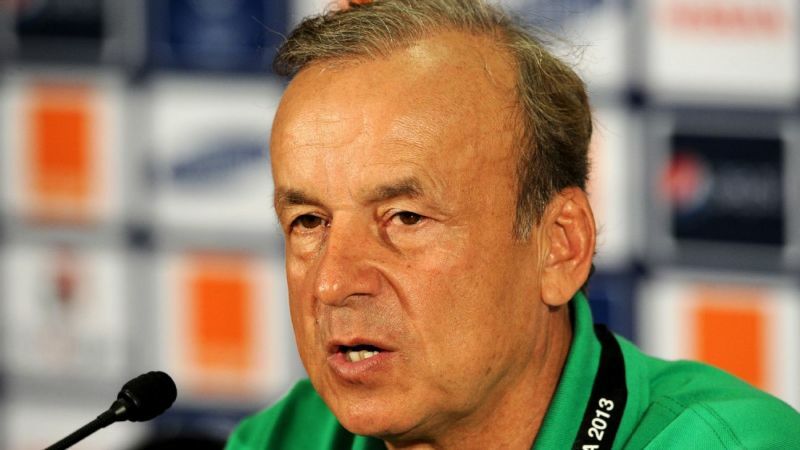 With less than six months to the World Cup in Russia, the Super Eagles technical adviser has warned that players struggling for form and regular playing time at their various clubs are not likely to make his World Cup squad. The Franco-German coach told SuperSport, “My plan is to execute the World Cup with the players who are playing regularly with their respective clubs. “How do you expect a coach to jet out to Russia with average players who lack playing time? “I do take my time to visit various club sides in Europe to beg the coaches to build my players’ mind towards a great competition like the FIFA World Cup. “I’m sad the likes of Kelechi Iheanacho and Ahmed Musa lack playing time at Leicester City. I and my scouts took time to pay their coach a visit, but we realised their case are getting worse. “I hope they keep fighting for shirts to get a playing time or quit the club for a better team willing to give them playing time to showcase their talent,” he concluded.